We provide Indian stock market and commodity trading tips to short term traders and day traders in India. As a leading provider of Indian stock market and commodity, we offer a wide range of trading tips. We provide includes specialized stock market analysts with extensive knowledge of the stock market in India. We provide Indian stock market and commodity trading tips to short term traders and day traders in India. As a leading provider of Indian stock market and commodity, we offer a wide range of trading tips. Please assure that your mobile number is correct and of 10 digits. If not, please enter your correct 10 digit mobile number to proceed for varification. Do not affix '0' or '+91' before mobile number. 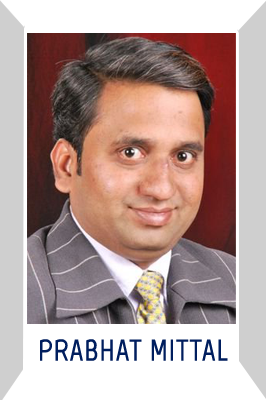 I am a professional technical analyst and a trader based in Bhopal and run my own consultancy. I am post graduate in commerce and working in stock market since 2004. I came in stock market as trader and incurred many losses due to unawareness about stock market. After those trading losses I tried to know what is the reason that whenever I sell out any stock it goes up and whenever I buy, it came down. Then I started analyzing those levels where the operators or institutions buy a particular script and where they sell it by keeping in view the technical study.